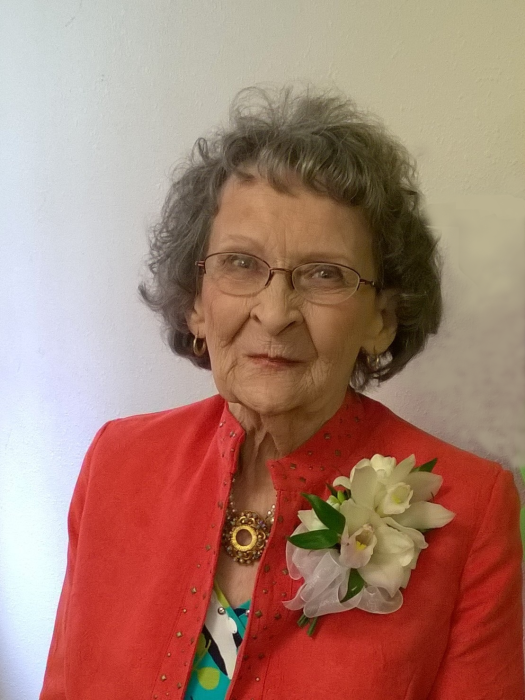 Betty Ann Moe joined Our Heavenly Father on January 22nd, 2019 at the age of 90. 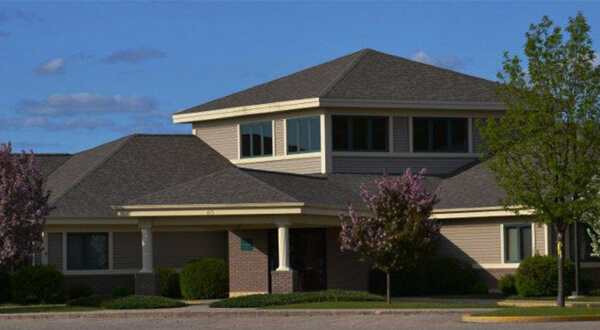 She resided at Riverview Care Center, Crookston, MN where she received loving care. A Mass of Christian Burial will be held Monday, January 28 at 2:30 p.m. at Cathedral of the Immaculate Conception with Fr. Auggie Gothman officiating. A visitation is scheduled for Sunday, January 27 from 4:00 to 7:00 p.m. at Stenshoel-Houske Funeral Home, with a prayer service at 7:00 p.m. Visitation will continue one hour prior to the service at the church. Interment will take place in Hafslo Cemetery. Betty A. Moe was born to William and Zelda (Demarais) Simmons on February 29, 1928, a leap year baby. After graduating from Crookston Central High School, she received a teaching degree from Minnesota State Teachers College, Moorhead, MN. She was united in marriage to Charles Bertram Moe on October 14, 1950 at St. Anne’s Catholic Church, Crookston, MN. As a life-long resident of Crookston, Betty used her many skills as a Bell Telephone operator, A&W Drive-In roller-skating carhop, Tri-Valley Opportunity Council bus driver, and beet truck driver. She offered a helping hand at Eugene Field Elementary School as room mother and PTA president. St. Anne’s Catholic Church was her home parish where she was a member of the guild and choir. She served her community as the Camp Fire Girls candy chairperson, sold Pioneer Day buttons, and drove cancer patients to treatments. After purchasing a cabin on Union Lake in 1965, summers were spent teaching the children respect for water, serving barbecue from the Weber grill and entertaining with grace and hospitality. Betty left her children with beautiful memories to cherish. Her wisdom continues to be their guide. With gentle and helpful hands, she used psychology and a positive attitude to handle daily parenting. Always a teacher, she enriched her family with fun activities in art, sewing, cooking and grammar. Betty was a competitive card player, spent hours crafting and playing Scrabble or Uno with the grandkids. She teamed up with Charles by painting the wood pieces that he cut out and many were given as gifts. Betty made a profound impact on the family legacy by making each holiday both traditional and extraordinary. Her children can recount all of the special meals she made for the everyday table as well. Her delicious meals were made with whatever was on hand and pleased the crowd. Served with love and joy, meatballs, fried bread, soups, pies, and brownies were some of the many dishes a mother of seven must make. Betty was a top bowler on many teams and often her teams took top honors. An avid bowler, she was disappointed by the closing of Corral Lanes. She and Charles loved to dance, especially “The Swing”, and she started many a morning with aerobics. She produced many quilts, gardened, and grew roses. Having a flair for style, she designed and tailored her own clothing and for family members. Betty believed in the gift of life and is survived by her seven children, Teryl (Allan) Lundeen, Minooka, IL; Barbara (Richard) Seeger, Union Lake, MN; Marilyn Kuchan, Crookston, MN; David (Maryanne) Moe, Wailea, Maui; Michael (Kathryn) Moe, Richville, MN; Kathryn Keane, Sioux City, IA; Tamara (Michael) Conn, Red Lake Falls, MN; 18 Grandchildren: Kerri Courtright, Carissa Baranowski, Richard Lundeen, Amanda Lundeen, Grant Seeger, Lisa Wolf, Alayna Christensen, Drew Seeger, Brock Kuchan, Tony Kuchan, Maile Lazo, Michela Moe, Robin Berg, Lindsey Held, Jonathan Keane, Natalie Keane, Elliot Keane, and Lora Quehl, and 35 Great-grandchildren and her Sister-in-law, MaryAnn Simmons, Crookston, MN. Betty is also survived by many of Charles’ brothers, sisters, spouses, and their families whom she loved dearly. Betty rejoins her parents, her husband, Charles, of 52 years, brother, Donald Simmons, Son-In-Law, Peter Kuchan, Brother-In-Law, Duaine Moe, Sisters-In-law, Billie Moe, and Margi Moe. Memorials may be given to a Catholic School of your choice or Hafslo Cemetery , Crookston , MN.